How did you discover Lovecraft? Comment here! It’s always interesting to hear how someone discovered the works of H.P. Lovecraft. Please comment below, introduce yourself, and tell us how you were exposed to HPL’s stories! And if you feel like answering another question: What is it about the themes of Lovecraft that appeals to you? I was walking through a book store when I picked up a copy of The Call of Cthulhu and Other Weird Stories, edited by S.T. Joshi. I had heard of this Lovecraft fellow only in passing, but I wanted to see what there was to it. So I stood there and read Dagon, in its entirety. I was mesmerized. The rest is history. Well, as far as I can recall, my earliest exposure to Lovecraft was in a few text-based RPG games on a message board I hung out on back in middle school. There was a guy there who had a habit of trying to bring Cthulhu into RPG’s not intended for him (to the point where at least one Star Wars-themed RPG even made a rule against bringing in Cthulhu). At the time I was baffled. 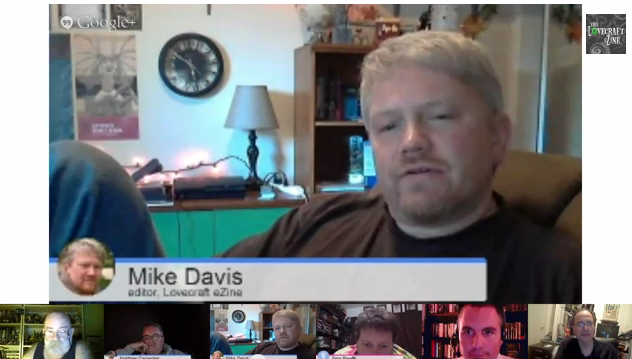 From then on I’d occasionally hear bits and pieces about Cthulhu online. Fast forward a few years later, I’m in late highschool starting unusually early on a project for my film class (by “early”, I mean I was working on it months before it had even been officially assigned). The task was to analyze the body of work of a director of our choosing, and I’d been led to select John Carpenter. Among the movies I watched for the project (though not given huge focus in the video I ultimately put together) was “In the Mouth of Madness”, and I started to learn that Lovecraft was a major inspiration on Carpenter’s work. It’s hard to remember the precise catalyst which got me to finally start reading Lovecraft, but happened back in the fall of 2012, during the one semester I spent in college. My love for Carpenter and knowing Lovecraft’s influence certainly helped, and I recall reading a lot online that seemed to intrigue me. I think it was an off-hand remark while I was at a family gathering that finally got me thinking about reading some of Lovecraft’s work. A week later I downloaded some audio books. 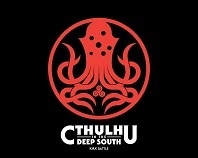 I wasn’t sure about “The Hound”, the first one I listened to, but then I read “The Call of Cthulhu” and I became hooked. I followed that up by spending at least a week going through “At the Mountains of Madness” and at least a week after I finished I voiced my interest in writing a screenplay treatment and did exactly that. There was a brief period after that when I had some trouble deciding where to go next, but from that point on I was a Lovecraft fan. my first exposure to Lovecraft, that I remember, was a vague reference in an RPG manual. my first REAL exposure was through a rather skeevy friend who gave me a book of Lovecraft stories. from then on, I was lost–er, I mean, hooked. Remember InQuest? It was a sister publication to Wizard The Comics Magazine dealing with RPGs and trading card games. They frequently featured Call of Cthulhu. They briefly talked about Lovecraft’s work and it always intreated me. Cosmic horror usually ending in death and madness? Where do I get more? Well eventually I went to Barnes & Noble and went to the source. I think it was 1971-72. I was 12, no more than 13. My older brother and I were heavily reading the Ballantine adult fantasy series edited by Lin Carter. At that time typically he would buy the books and we would both read them. One day with absolutely no fanfare he got one of those old Lancer books of Lovecraft stories, the ones with the great covers where no one really knows who did the art. 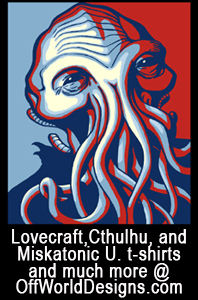 The first HPL story I read was, I think, The Call of Cthulhu. I’ve been hooked ever since. About the same time, I was the same age, a new Fantasy book store opened in our neighbourhood, and is still in business today. I was already a big fan of vintage SF, and just happened to pick up a Dreamlands anthology while browsing there. I infected my sister with rabid fandom, too, after that! After going to see Re-animator at my local flea pit. Yes, I am rather shallow. I then went and bought a collection of his work, and never looked back. Saw “The Dunwich Horror” when I was 12 or 13 and then went to my school library to seek out the short story. It was love at first sight. 1980 Deities & Demigods introduced me to Lovecraft. That was my introduction, too. same fate. Luckily, Balantine Books published a series of paperbacks in the early 1970s ($1.50 each), such as “The Tomb and other tales”, “The Lurking Fear and other stories” and “At the Mountains of Madness and other tales of terror” containing selections chosen by August Derleth. I read these again occasionally, and Lovecraft’s tales never lose their flavor. I don’t even remember the title of the book but I do remember it scared the daylights out of me. I have since lost the book and wish I could find it again. My memory leaves a lot to be desired but I remember that the slightest noises that nite had me going. Wasn’t sure that even under the bed was a safe place to be. I never want to lose that terror I felt. The first time I heard about Lovecraft was in the inspirational reading section of the 1st edition Dungeon Masters Guide I got for Christmas in 1980. I immediately began pestering my mother to get me books from all the authors on that list. I was 10. 1974, I was 11 years old, and I picked up one of the Ballantine paperback editions with the lurid cover art – the faces, if you remember those. I’ve been hooked ever since. And I’ve always liked the cosmicism of Lovecraft – the sense that there’s so much that we don’t know, and none of it’s good. That’s what sets his fiction apart from conventional horror, where the monster can be defeated and things set back to rights. The typical Lovecraft protagonist has a glimpse of the true nature of things…and is never the same. About 50 years ago when I was a kid, I was at home sick in bed and my mom brought a record home from the library that was somebody reading “The Outsider” and “The Hound”. I listened and was hooked. I’m not sure, but the reader may have been Vincent Price. On vinyl LPs, of course. I received an anthology book called THOSE AMAZING PULPS for Christmas when I was seven. It had THE RATS IN THE WALLS by HPL, and I was hooked. I was in high school. I was reading an illustrated magazine called “Creepy”. One issue featured a classic Bierce story “The Damned Thing.” Bierce became an obsession and I found a copy of “In the Midst of Life” in the library. At the time I was also reading Edgar Rice Burrough’s Martian series. The combination of research about Burroughs and Bierce (yeah, research, I was 15 at most) led me to Howard’s Conan. That prompted me to buy a little paperback with the classic “Pigeons From Hell”. In that book was my first Lovecraft – “The Doom that Came to Sarnath.” I didn’t like it much. But my next buy at Kerber’s Used Books in Tucson was a paperback that cost me a quarter, big money. It was of stories from Weird Tales and in it was “The Strange High House in the Mist.” I was hooked. Notably on my limited budget it took me two years to locate the story that Strange H.H.I.T. Mist sent me to — “The Terrible Old Man” but by then I had read a bunch more. Long ago and far away, there was a group called H. P. Lovecraft. They wern’t too bad, and they told everyone on the back of the LP (remember long ago……) about where they got their name. Having always been a fan of fantasy, Horror. wierd and unusual stories, I went in search of Lovecraft and hit gold when I found a small bookstore in Center City Philadelphia that had a large collection of Arkham House hardbacks. Even though they were cheap by todays standards -most expensive being $4.50, it was still like paying $29.95 for one today so my collection is nowhere as large as I wish it was, but I discovered Lovecraft and fell in love with the old ones. At the Mountains of Madness was always my favorite, not sure why. Then I discovered paperbacks. in Borders I think, and I was off. Found Colin Wilson through Lovecraft, and will be forever grateful. …”At the Mountains of Madness” is fabulous.., why dont you know why its your favorite..?? i first discovered Robert E. Howard, probably for no other reason than he was a Texan. i found him early on along with Robert Bloch. i read those two well into my teens before understanding the Mythos Circle and H.P. Lovecraft. it’s likely i encountered a Lovecraft story in the anthologies i read as a child, but if i did, he didn’t capture my attention the same way as Howard and Bloch. 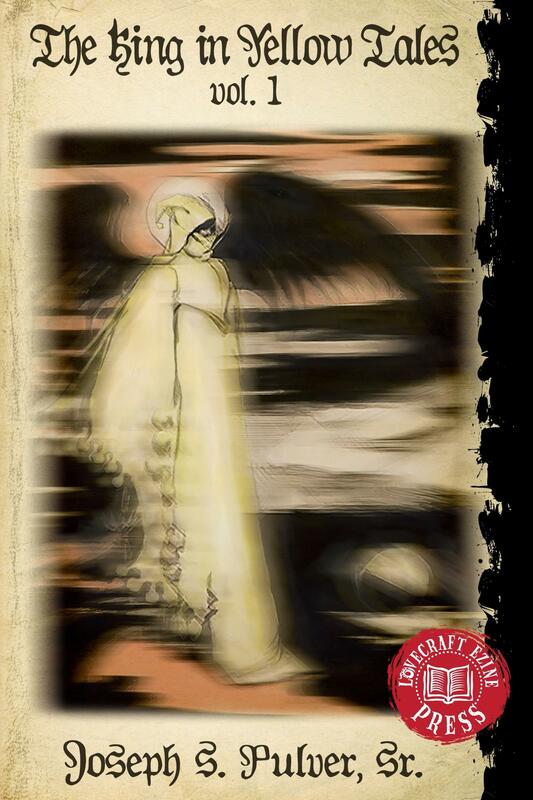 When I was about 8 I found a horror anthology at the library called ‘Haunts Haunts Haunts’ and in it was the first (and still my favorite) Lovecraft story : The Music of Eric Zahn ! It was in the early 2000’s, I was playing Castlevania: Symphony of the Night on my Playstation. In the video game you can fill out a bestiary and gather all the information on the various monsters you’ve killed. I was very much into monsters and supernatural stuff so I did research on my computer for all the unique enemies in the bestiary that weren’t generic types like bats, skeletons, etc. As I was going through all the monsters one by one I came across one called “Ctulhu.” A little history of why Cthulhu’s name (or at least a variation thereof) shows up in a Japanese game about hunting down Dracula, it was because the English localization decided to have some fun with the naming of some of the enemies. A monster called “Malachi” in the game looked similar to Cthulhu, but the localization screwed up and named the wrong monster thus a generic demon became “Ctulhu.” I didn’t do a lot of heavy research on the monsters and since the name was spelled differently I only found a very poor Wikipedia page on Cthulhu, which at the time only talked about the Metallica “Ktulu.” I was surprised that a strange reference to a monster in a Metallica song showed up in my video game and to me that was the end of it. It wasn’t for almost a decade that I would come again in contact with Lovecraft’s creations. When I went away to college I ended up getting an apartment with another student I met over the school’s facebook forum for my incoming class. He turned out to be from Massachusetts, and just by chance brought up Lovecraft and Cthulhu because he found out I was really into the whole monsters and demons thing. He went on about how big Lovecraft was in Massachusetts and eventually we were invited to play a game of Arkham Horror. After that one place session with all the Gods, monsters, and themes I was hooked. I started reading Lovecraft, researching him and other mythos authors, and becoming the honorary lore master for our Arkham Horror group (which started out because we were like “What the heck is a fire vampire?”) I went right down the Lovecraft rabbit hole and I haven’t come up yet. When I was in college (early 90’s) I was at the town library (very small) and found “At the Mountains of Madness” in the Sci-Fi/Fantasy section. It sounded cool, so I got it and read it. I didn’t understand Lovecraft at first, but after a second and third reading, I started to understand. Sadly, that was the only book that library had. Later on, I found more from this Lovecraft guy and have read pretty much everything of his that I can get my hands on. I remember first reading HPL in the 80s, in those collections featuring Michael Whelan’s art on the covers. But it was only recently, due in large part to this site, that I’ve really dived in whole heartedly. 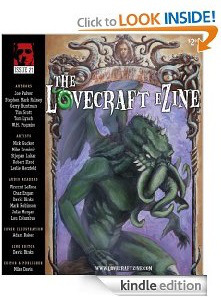 The Lovecraft eZine has been a great source in my education. TSR’s Dungeons and Dragons Deities and Demigods Book. I saw the drawings and then saw the wright up at the end of the Cthulhu Mythos section and I had to find out what his writing was like. As a side not I also started reading Michael Moorcock as a result of the same book. I was eleven years old and at our school book fair I picked up a copy of the Scholastic Book Services paperback of “The Shadow Over Innsmouth and Other Stories of Horror.” The artist had tried to cover all his bases, featuring a ghostly, batrachian Dracula figure who wasn’t very scary, but the first story in the collection was “Colour Out of Space,” and that one stuck with me. I rediscovered him when Andrew started up the HPL film festival in Portland, many years ago. Glad that you will be making it out to the festival again this year. We hdad this question a month ago or so in Lovecraft Eternal..always an interesting question to ask every now and then. For myself it was thru my very dear sister who turned me unto Lovecraft. Imposoosible not to think of her when ever I read him or anything about him now..which is everyday. Thank you Terry..r.i.p. Love you so. ..Via W.S. Burroughs… Through Lovecraft I became acquainted with the subconscious, and the essence, and chthonian imagery of nightmares. The substance of true fear. 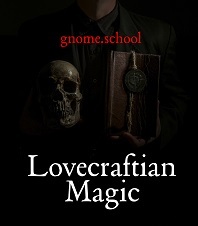 Also, Lovecraft conceptualized for me, the true role that cats play in the lives of men..
My name is Ben McInnis, and I have been a Lovecraft addict for 30 years, lol! I discovered Lovecraft in a Waldenbooks in my hometown of Cranston, Rhode Island in 1984. I picked up the collection “The Doom That Came To Sarnath and Other Tales” and was instantly taken in by the cover art. Once I purchased the book and read it, I was hooked. My love of his work was further reinforced by the fact that he was a native Rhode Islander just like me. This has afforded me the opportunity to walk where he walked and see much of what he saw. I feel very lucky to have discovered Lovecraft and to share the same roots. Hello All, Jesus From Mexico Here… I’ve Always Been A Fan Of Horror, And Darkness… The First Book I Bought From HPL Has This Great Picture Of The Alien Creator, H.R. Giger, So This Small Detail Caught My Eye… At First. Then I Started Reading Lovecraft, And There Was No Going Back … The Call Of Cthulhu Is The One I Read First … And Since Those Teenager Days I’Ve Never Looked Back… Now I Have An Small Collection Of His Published Books In My Country Of About 18 Books, And Some More In English… Some Cultist, Huh? I first discovered H.P. Lovecraft in high school. I grew up on a steady diet of horror. Whether it was movies or books, I can remember always being fascinated by the darker things in life. I grew up in the 70’s, and a combination of my love of horror films and the unique time period it was for toys, movies, and pop culture — I was inundated with horror in all of its incarnations. Hell, I even ate Count Chocula and Boo Berry cereal every morning while listening to albums of spooky tales told by the deep baritone of Boris Karloff. I devoured every book and movie I could. My movie tastes evolved as I came of age in the golden age of the 80’s slasher flicks and amidst George Romero’s first holy trilogy of zombie films. I plunged into the darkness and reveled in it. And yet, against this rich background and vast horror experience, I had never heard of H.P. Lovecraft! When he saw my quizzical look at the strange name of Cthulhu and the name of the dark master, Lovecraft, he grew excited and tried to explain to me the Cthulhu Mythos and Lovecraft’s strange world. I had no idea what he was talking about, but it intrigued me nonetheless. So it was that the next day when he handed me a dog-eared copy of a mass market paperback with the most disturbing artwork I’d ever seen upon its cover. I held it at arm’s length, shocked at the images upon it. 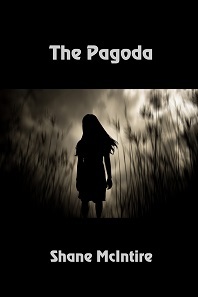 There were corpses, spiderwebs, and strange insect-like dog creatures with clusters of ruby red, murderous, eyes. There were strange men standing before bloody altars and drawn in such a way as to imply dark human sacrifice and all manner of debauchery. In other words, it had all the things that still warm my ghoulish heart. I was speechless. That night, as I lay in bed reading The Doom That Came to Sarnath, I experienced true vertiginous terror. Never before had I experienced anything so horrifying, so gooseflesh-inducing, so mind-numbingly terrifying in all of my life. I came to realize that Lovecraft had a unique power, the power to see into the dark, nebulous space between the stars over our heads and in the shadows that lurk in the darkest corners of our homes and SEE things; things that no one else can see. He opened my eyes to new horrors – horrors that are all around us, and I was never the same. I was stationed at a small naval base in the early 80’s, and the base had a library of donated books. A book of poetry caught my eye – turns out it was a collection of HPL’s poetry and fiction. I picked up a copy of the Call of Cthulhu RPG. After reding through the book twice, I searched for and devoured any Lovecraft I could read. 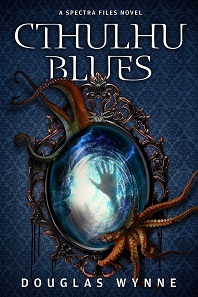 The mythos stories caught me, but the dreamlands sealed my fate. His theme of man against forces so powerful and utterly alien he cannot begin to understand them appeals to me the most. 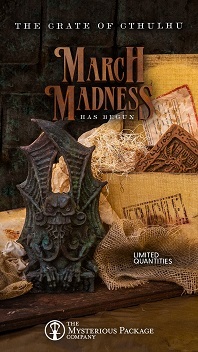 She’s now my sister-in-law – we were at an RPG convention, she bugs me to come play this fun game (Call of Cthulhu) ran by Mike Howard …so I go to play, knowing nothing about what this game’s about…I had read *about* HPL in The Illuminatus! Trilogy, but just absolutely devoured anything HPL after that game. Some 25 years ago, a friend of mine invited me to join a group that played “Call of Cthulhu”. I was hooked at once (never had so much fun while dying), and started to get acquainted with Lovecraft’s work after that. However, later on, I found out that the Great Old One’s congested style wasn’t to my liking and stopped reading his prose. I still like adaptations of his works, mainly audio dramas which are quite popular in my home country Germany. Furthermore, the ideas behind his mythos, this dreadful feeling of “I told myself that I understand this world, but when I look beyond I find that I don’t understand anything at all” still gets me and permeates my own work (I write for the German version of “Call of Cthulhu”). So, my taste goes more in a lovecraftian direction. I was introducted via Lin Carter’s Ballantine Adult Fantasy series. The Doom that Came to Sarnath and Other Stories was published as one of its titles in 1972. Ever since then, I have had a bit of a preference for the Dunsany influenced stories. In the 1940’s Boris Karloff edited an anthology of Horror stories, “And the Darkness Falls”. Lovecraft’s The Thing on the Doorstep seemed to leap off the pages and I was hooked. It was 1963 and I was 13. I saw the name “Lovecraft” on a bookshelf full of old books covered in dust. I didn’t know anything about the author at all but the name struck me as mysterious. So, I pulled the book and paged through. The first story I read was The Music of Erich Zann. I remember having to read it twice because I liked it so much. The Thing on the Doorstep haunted me for weeks. I had a monster book as a little kid and one of the creatures was Cthulhu (I have a humorous memory about writing a poem about monsters with my dad, wherein I tried to rhyme a word with Cthulhu, and my dad giving me a strange look). When I was older, I frequently encountered Lovecraft’s name and read the full text of “The Music of Erich Zann” and an offendingly abridged version of “The Outsider.” His name was always familiar. I got into HP after watching an episode of Supernatural! Been hooked ever since. But I have only found a couple books. Haven’t had much time to research. I’d been selling Lovecraft titles online. The books were popular enough to get me wondering what the heck was up with this “Sage of Providence.” So I started reading the stories. I began with “The Colour Out of Space,” a masterpiece which set the hook well. I then moved on to more of HPL’s stories, essays, and letters. I was introduce to Lovecraft through the works of Stephen King. As a huge Kingophile, I decided I just had to read the author who had such a major influence on his work. Also, I wanted to know what my friends meant by the word “Lovecraftian”. What? What is that? Some kind of Harlequin Romance shtick (hehe yeah right)? So I read “Call of Cthulhu” one day and that… that was when everything changed. The thing that appeals to me about Lovecraft’s writing is the element of the unknown and unknowable. I always loved to try and wrap my brain around mysteries I could never solve. The briefcase from “Pulp Fiction”, the Taman Shud case, or, since I live in Northern California, the Zodiac killings. This fetish of mine pervades Lovecraft’s work, except on a much more cosmic, mind-blowing level. Which just makes it all the more better. It was in 1986 after playing Call of Cthulhu RPG (3rd edition). My local bookstore in N.Ireland had never heard of Lovecraft! I had to place a special order H.P. Lovecraft Omnibus 1 At the Mountains of Madness and Other Novels of Terror. It took a month to arrive. When I was 11 watching “Night Gallery” episodes! My first introduction to Lovecraft came on a horror movie night about 20 years ago. The movie was, of course, Reanimator, and I was curious about the story it was based on. Strangely through pop culture: Originally through the cartoon the Real Ghostbusters as a child and then a renewed interest was kindled by Joss Whedon’s Buffy the Vampire Slayer and it’s spin off Angel. Back in the early 80s, when I was a young child, I was a huge Robert E. Howard fan (and still am!). I learned about Lovecraft from reading the forwards in the Conan books and reading the works of other pulp writers in general. I learned that Lovecraft was one of Howard’s peers along with Clark Ashton Smith. Naturally, I had to find some Lovecraft books. And that’s how I became a Lovecraft fan. I was ten years old when I started reading Swamp Thing in ’82. Lovecraft’s name was tossed around a few times between the reboot and the issues of the ’70s series. I had to know who this guy was. From an Italian collection of HPL’s stories called “I Mostri all’Angolo della Strada” (Monsters on the Street Corner), which I found on a bookseller’s stall in a seaside market while on vacation in 1980 – I was 13, and I was hooked. A Role Playing Game in the early 80’s. Sometime around 81…I don’t remember the game. My brother might remember. I found a couple of his short stories in an anthology at the library. My brother and I have been fans ever since. 2004, either the end of Freshman year at college or, more likely, the beginning of Sophomore year, the SciFi channel was playing the TERRIBLE movie “Dagon”, and my buddies and I had it on. From there, we found the Mythos through the d20 Call of Cthulhu tabletop RPG and it sort of spread. The 1st edition of the AD&D book Deities and Demigods, where all the Old Ones and various beasties were statted up for munching on unwary adventurers. Erol Otus’s illustrations were a huge influence on me. My first experience with the works of H.P. Lovecraft was the film adaptation of “Herbert West–Reanimator”. I guess the first time I came across anything to do with Lovecraft, it was at the Texas Renaissance Festival. A friend of mine had bought a Cthulhu doll and was walking with it tucked down the front of her corset. I distinctly remember one vendor saying “That’s the most interesting place I’ve seen an Elder God all day”. Looking back I guess I should have been concern that he’d seen other Elder Gods that day. After that it was largely through seeing references to his work in popular culture. Eventually I just decided that I should read some of his work. Since then he’s become one of my favorite authors (not quite my favorite, but maybe a close second to Conan Doyle). I’m fairly certain Lovecraft and I intersected somewhere between Conan The Barbarian (Robert E Howard), Army of Darkness (Necronomicon), and general interest in the pulp stories and authors. As a kid, films like Conan the Barbarian, The Shadow, Rocketeer, and even watching old Zorgo movies and the Disney series sparked my imagination, and I researched the original tales of Robert E Howard. I know at some point finding a reference between REH and HPL. Then talking about Army of Darkness with RPG game buddies in high school brought up discussions of the Necronomicon and that string also led me to HPL. His name kept popping up, and eventually I found it and loved it. There’s something magical with those pulp stories, and Lovecraft especially. I liked the mythos and how his stories can be connected. I love how other authors have dabbled in his mythos he left for us. I found Lovecraft when I became curious to the origin of the Necronomicon. I’d thought it strange so many stories and movies seemed to have this same book and content about this book. Like a young teen I thought there had to be some historical or mythical background on it. To my teen disappointment I found the book was made up, but then I became curious about the author’s use of it. Thus began my decent into the madness of Lovecraft and eldritch horror. In the early 80’s I was working in a tiny book store in Melbourne, Australia. They gave me a few shelves for sci fi/fantasy/horror section … so I decided to focus on authors who weren’t mainstream but who were lauded by the cognoscenti … Lovecraft was one of them. I could only order from Australian publishers though – meaning I only had access to three omnibi editions published by Grafton. I hadn’t read them … then one day I picked one up … and my world got a little (delightfully) darker. Three days later I ended up scouring the school and city libraries and read every single thing by and about Lovecraft that they had. I went on to make him my author focus at university for my degree, and the rest, as they say, is history. I was 11 and Sci-fi Channel had the necronomicon movie on late at night when I was supposed to be sleeping. After that I found the books. I think the first of HPL’s stories I read was “The Shadow Over Innsmouth.” That did it; I had to get my hands on more, and much of it was in the form of those Ballantine paperbacks with the weird heads on the covers. My favourites are “The Strange High House in the Mist,” “At the Mountains of Madness” and “The Dream Quest of Unknown Kadath.” And I’ve written four novels about Herbert West. When i was a freshman in high school I practically lived at the local library reading largely high fantasy books (Dragonlance, LoTR, Forgotten Realms, etc.) and during one of my usual periods looking through the shelves for something new to read I happened upon an old book bound in green with no writing on the side save the usual dewy label. Curious, I picked it out and flipped open to the title page and found it to be ‘At the mountains of madness’ by H.P. Lovecraft. I sat down, read it, and ever since then I’ve come to adore all of Lovecraft’s weird and dark tales and beings. My first contact was with The Dream-Quest of Unknown Kadath which I found at my cousin’s place where I stayed for 2 weeks while searching for a place to rent 12 years ago when I came to stay in Athens to study and live. There was no TV or internet at her place. Needless to say that I read it in 4 days, awestruck by the imagination and the way Lovecraft describes something with so few details but feeds your imagination and in the end leaves it up to you! So this is the first book I read in my new life as a univercity student in a whole new place, the big city, and instantly my own dream-quest of anything regarding Lovecraft (books, films, metal music etc) started. I discovered Lovecraft after playing the RPG. I was invited with a friend a RPG session, it was my first and they were playing CoC. I was hooked, went out and bought the rulebook then the omnibuses for background reading, been hooked ever since. May be at the Year 7 – from 11 years old or (6eme in French) one year before. I had Friends crazy about Lovecraft stories They were really into it like when kid goes into something. As we live very close to the Père Lachaise cemetery in Paris then even went to look Kardec grave & checked weird mysthicla places there. I myself found some short stories in my Father bookshelf. I can’t remember wich one it was as I was immediatly hooked by Lovecraft stories & I read all of his works. I’ve read some many times since then. 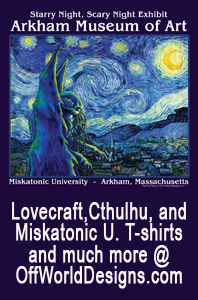 I had read a few of HP Lovecraft’s stories here and there, mostly in the early pulps. I was into comics and pulps from the time I could read. It was the February 1936 issue of Astounding Stories which had ‘At the Mountains of Madness’ which really got me into HPL for good. I found the Del Rey collections, with the fantastic covers by Michael Whelan, in a used book store about 30 years ago and devoured them. The stories were the first to truly frighten me and still have that affect on me to this date. I haven’t told many this, but they got to me in such a way that I didn’t even want the books in my apartment. Lovecraft had a way of writing that made you feel insignificant, that there were things out there that could, and would, destroy you without a thought or an inkling of remorse. These were not men you could reason with or monsters you could put down with a stake or silver bullet. They, literally, were beyond anything and everything you could imagine. In fact, trying to imagine them could drive most mad. HP Lovecraft created a unique universe that captured enough people that they continued creating and adding to it to this day. There is nothing else like it and to see all the creators (authors, artists, poets, etc) continually add to it is a wonderful thing. Was browsing the video game section at blockbuater video about 7 years ago and i came across the call of cthulhu:dark corners of the earth video game. It was cheap and it looked creepy the description on back said it was based on his stories. So after i played the game i was hooked because of the terror and fear it left in me. So i decided to look up his books. I bought a collection of his stories and ibecame hooked. More so after i read the stories in the cthulhu mythos. What struck me most was the fear, he used real fear not just cheap scare tacticts. His prose and writing style evoked in me feelings of extreme terror. I couldnt sleep or eat but at the same time i couldnt put his books down. 1958. I was 9 years old and stuck in a ’49 Chevy in a rainstorm. I pulled down the back seat to get at a box of paperbacks my brother kept in the trunk. After reading the “hot ‘parts” of Onstott’s “Mandingo” and Sartre’s “Intimacy” (9-year-old boys should never read French erotica!!) I found “”Cry Horror,” the 1958 Avon reprint of 1947’s “The Lurking Fear.” It totally blew me out of my little world and dumped me on a cosmic stage of wonder. I’ve never looked back. The first time I read Lovecraft I was around 9 and was with a friend at a bookshop and the cover for at the mountains of madness caught my eye. I dare say I have not looked back since, for Lovecraft’s writing has brought a new and ever growing fascination with tales of supernatural horror as well as the unknown reaches of narrative suspense. Through my studies I always try to incorporate a quote or two from his works into my papers or lectures on topics related to American literature in concerning historical and literary horrors. I bought a Scholastic book in school. Probably the 3rd or 4th grade. It was an anthology and The Dunwich Horror was in there. Ever since then it has been my favorite Lovecraft story. One of my first memories is hiding under my grandmothers rocking chair with my sister while my family rented Evil Dead 1 and 2, I thought it was a ghastly dream I had until I was 14 and I saw a friends game room who had “Prisoners of Ice” where the character was holding the necronomicon on the cover. Connections were made and fell into place from there. I became a fan after reading “The Colour out of Space” and “The Rats in the Walls” in an anthology called My Favorite Horror Story. Many years later, while listening to the H.P. Lovecraft Literary Podcast, I realized that I had read “In the Walls of Eryx” as a kid, in a science fiction anthology. I had never connected it with HPL – just remembered it as a quirky story with leather space suits! It was the HPL quote on Eddie’s tombstone (Iron Maiden’s Live After Death Album cover). I came across a supplement to the Call of Cthulhu role playing game at a convention, liked it (though I did not knew the game at the time) and later recognised Lovecraft’s name on a collection of shis short stories in my favorite local book store, so I bought it out of interest. Two days later, i went back and bought another one, after that, I had to order one book after the other until my collection was complete. That was back in 1991, I have been a fan ever since and have even written my master thesis on the Cthulhu Mythos. My first contact was through the Call of Cthulhu RPG. Our game master strictly forbade us to read Lovecraft, to keep us from knowing about the creatures we met in the game. When I moved away and stopped playing with him, I threw myself into those “forbidden books”. Never stopped reading them since then. I believe it was through some collection of weird tales. I think Bradbury and Poe were in there too. I’ve always been intrigued with the concepts of interdimensionalism and powerful ancient evil. I was also captivated by the concept of mathematical sorcery. Back in 1958, when I turned 13, my father happened to buy a collection of HPL’s stories, “Cry Horror.” At the time, I wasn’t quite ready for it, but in the spring of 1961, I began to read the book in earnest — and was hooked! At the time, much of HPL’s work was out of print, and the best I could do was find various individual stories in anthologies here and there. Fortunately, in the mid-60s, Arkham House began to reprint his entire oeuvre, and I was quick to snap them up as they came out. Needless to say, I was ecstatic! It was back in the early 80’s, I was heavily in Dungeons and Dragons and their magazine had the Call of Cthulhu review which peaked by interest. Bought the game and have been hooked on Lovecraft ever since. 1994, I was 13 years old and kind of a science fiction geek. I had to stay all night alone in my grandma’s house for some reason, so I asked my mother for something to read and she lend me a 70s copy of Charles Dexter Ward, the Spanich version on Seix Barral. It was a stormy night as far as I can remember, and if it wans’t there’s a reason why I remember it that way: because the novel just scared the crap out of me. Needless to say that after that I got converted, and I’ve been a devoted fan of supernatural horror and weird fiction ever since. I can understand that. “The Case of Charles Dexter Ward” is freakin’ terrifying. It was 1971 and I was a Junior in high school in NW New Jersey. I used to frequent the mall in Middletown, NY. There was a surprisingly hip store there called “Book and Record.” I was into science fiction and psychedelic music and they had huge selections of both. I’ d go up on a Saturday night, sit on the floor and read and come home with at least three books and a couple of albums. I got into Wm. 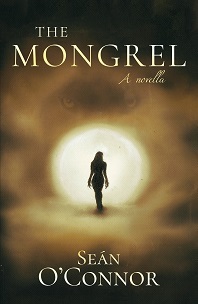 Hope Hodgson and the Ballantine Fantasy series. I saw the the Lovecraft books with their eerie covers and bought one which had “Call of Cthulhu” in it. I was hooked. His books weren’t easy to find. I read some through interlibrary lending, but for Christmas the next year my parents bought me the main Arkham House hardbacks with all of his stoies. Then The Horror in the Museum came out a cuouple years later. I did my undergrad work from 1972 – 1976 and I met only one other person woo knew of or was interested in him. ONE! Amazing. He and Homer have been my favorites ever since! I discovered Lovecraft through a wonderful teacher at a private school in North East, MD. I was already an avid horror fan, and absolutely obsessed with Poe, and my teacher, who has influenced more than one aspect of my life, got me all atwitter over Lovecraft within moments of his introducing the subject. To this day I will accredit Lovecraft, and Mr. Wirdel, with my adoration of the horror genre. I have always found the concept of underlying reality to be fascinating, that things are not as they seem or are somehow a mask for the Other. To me, it’s a bit surprising how many found HPL via gaming. I’m a long time gamer, but a reader first and had never even heard of the game until maybe 10 years ago. But have been reading HPL and cohorts for over 30 years. When i was 8 years old i saw a tv cartoon about Ghostbusters and there i saw a episode called “The Collect Call of Cathulhu” and that name reminds me about my favorite song from a kct that my big brother have called “The Call of Ktulu” (metallica) and in the library at my school i found a book called TALES ABOUT THE CTHULHU MYTHS. All this happened in mexico 26 years ago. I discovered Lovecraft from a horror anthology in the ’70S when I was down with pneumonia. I was quarantined in an oxygen tent. It was that bad. Lovecraft stories took my mind away into other worldly Vista’s and for a time I was able to escape. Of course it was the only way to realize although I was alone and did not have many visitors I shared a kindred spirit and fascination of the fantastic and unearthly with HP. I’d always been an odd child. I watched the old Universal and Hammer monster movies any chance I could. at about the age of 11 I started listening to heavy metal music, and around 13 Iron Maiden came out with the live album “Live After Death”. 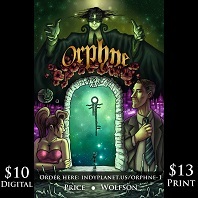 The cover depicted their mascot Eddie rising from the grave, and the epitaph on the tombstone was the famous quote: “That is not dead….” with it being attributed to HP Lovecraft. Since that time I became slightly obsessive with reading any and all HPL stories, becoming a devoted fan to this very day. I read a story of his in a fiction class in college, “What the Moon Brings.” I then saw a Complete Lovecraft Fiction book at Barnes and Noble and thought, what the hell. I didn’t know Lovecraft created Cthulhu, until I read his stories and did my homework. It is only now that I realize how much Lovecraft changed the field of horror and macabre in literature, not just for America but the world. People may try, but no one can ever surpass the barrier that Lovecraft broke. He took horror from the gothic and ghost story to stories of cosmic monstrosities that man can barely comprehend, which no salvation can be offered from. Lovecraft will always be a bedrock of horror literature, and I am glad that he gained the credit he has. I was stationed at Fort Carson Colorado and on the weekends I would take the bus to downtown Colorado Springs where I would then walk to Colorado Comics for my comic books. This was 1985-86. One weekend I went into the store and they had a whole rack of new horror books that had these fantastic covers by Michael Whelan. I picked up “The Lurking Fear and other stories”, mainly because it was the cheapest, and took it back to post. I asked a friend of mine who was better read than I at the time if he had ever heard of this Lovecraft guy. He looked at me like I was the dumbest person on earth and then began to fill me in on the whole Cthulhu mythos. I then read the book and became hooked! The first HPL story I read was “The Temple”, best guess is the mid-60’s, but it was a few years later that I came across the Lancer pb of the Arkham House collections. The watercolor cover of The Dunwich Horror showing Wilbur made me jump. After I read the stories I was a goner. June, 1979, I was with my family stopping at furniture shops outside Travis AFB in Fairfield, CA. New state, new school (4th Grade), and I was obviously a bit apprehensive. My teenaged sister had just purchased AD&D’s Deities and Demigods, vol. 1, and bored in the backseat of our massive Mercury wagon, I was leafing through it when I came to the chapter dedicated to The Cthulhu Mythos. Owing to my lifelong obsession with cephalopods, I saw the illustration of Cthulhu and needed to find out more, reading the chapter cover-to-cover. What was described within was so much darker than the rest of the religious mythologies presented in the book (most of which were based upon traditions I was already somewhat familiar with by nine-years-old), but especially the description of August Derleth and some of the other authors who had followed HPL, bringing their own sensibilities of moral dualism to the Mythos and straying far from the original source. The authors made it clear that in Lovecraft’s works, ALL the gods were evil, and the best we could hope from them was total indifference. This intrigued me. When I was a little older, it gave me strange comfort. 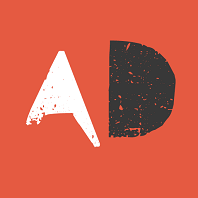 I began finding every short story I could, so that by college I had devoured, regurgitated, and lapped-up again everything I could get my claws on. This process has never ended. I had been a traveler kid, hitching rides and asking for enough spare change to take greyhounds wherever. One night I was at the L.A. station and my bus wouldn’t come until morning, and all waiting for the bus would either leave and come back that morning or stay the night inside. I decided to stay and picked my corner to sleep in. I actually ran into a long time friend who was grabbing the last bus for the night. she pulled out a copy of “Tales of the Lovecraft Mythos” edited by Robert M. Price and gave it to me for a good read. That night as I sat in my corner of the near-desolate station I read piece after piece, feeling silly when I would occasionally glance about me as strange sounds emanated from distant corners every now and again. That was my first introduction to anything remotely Lovecraftian, and I was hooked. The next day when my bus came I departed, and the next city I stopped at made enough spare change to walk into the nearest bookstore and pick up a copy of “Necronomicon: Best Weird Tales Commemorative Edition. Six years later, I am (for better or worse) deeply held in the grasp of Lovecraft. I discovered Lovecraft when I was a teenager during the eighties. I loved Robert. E. Howards books and did some research on him and the name Lovecraft started popping up. Neither Howard nor Lovecraft is widely translated into Norwegian, but I found one book. The book contained five of Lovecraft’s stories translated into Norwegian, among them “The thing on the doorstep”. I read the book in one sitting, transfixed. I did not realise that evening had transformed into night, until I closed the book and looked out of my window seeing the cold stars with new eyes. I still love Lovecraft, I cannot really explain why, but I think Lovecraft and I are kindred spirits. When he looked up onto the stars, he saw wonders, but, just as I do, he realised that those wonders might not care about us. He remains my greatest inspiration, without him I would probably write very different stories. As a kid in the 1960s I was a huge monster movie fanatic. My friend Brian also loved the films, but he read horror as well. One day he showed me an old book he had just bought for $60 — BEYOND THE WALL OF SLEEP, Arkham House 1943. I thought he was crazy, why would anyone pay $60 for an old book? One of my favorite magazine at the time was GORE CREATURES, and Gary Svehla had almost an entire issue devoted to H. P. Lovecraft. I didn’t read books but the name stayed with me. In 1971 I was sent to Ireland as a Mormon missionary. One of my horror film pen pals was Robert Bloch, who had written a tribute to Forry Ackerman for one of my fanzines. I decided to buy books that contained stories by Bloch, and in one 2nd hand book bin I found a Panther Horror paperback of Lovecraft’s stories, THE HAUNTER OF THE DARK AND OTHER TALES. I was blown away to discover that Lovecraft had dedicated the title story to my pen-pal, Robert Bloch! When I returned to the States I discovered Arkham House and became an obsessed H. P. Lovecraft fanboy. That was all it took. I have been a Lovecraft Adherent ever since. I actually have 3 copies of that right now. I pick it up whenever I find it and then give it away to a likely victim…err…. fan-to-be whenever I can. I am a likely vict…fan. I don’t know the exact date I discovered Lovecraft. I know the book. It was Sam Moskowitz’s Masterpieces of Science Fiction which included Lovecraft’s “The Colour Out of Space”. It still remains my favorite Lovecraft story, and it was also the work that he thought the best. At some time in high school, I found The Lurking Fear collection with the odd John Holmes cover.. It was a glancing Lovecraft blow, no more an impression on my mind than many of the new authors I discovered then. Then, on my first break from college, a friend lent me a copy of Brian Lumley’s The Burrowers Beneath. I went back to college and spent a January reading Lovecraft in Arkham House editions from the college library, including, appropriately enough for a dorm room with a faulty heater and ice on the walls, At the Mountains of Madness. Neither that nor his The Shadow Out of Time made a big impression on me. But, even though I don’t reread a lot of authors, I did re-read Lovecraft. 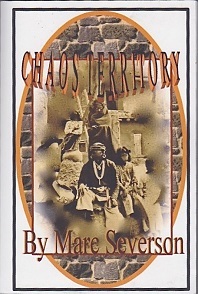 Somewhere along the line I read all of the Titus Crow/de Marigny series started by The Burrowers Beneath came across Michael Shea’s intriguing sequel to the “The Colour Out of Space”, The Colour Out of Time, got my own editions — with texts corrected by Lovecraft scholar S. T. Joshi, of Lovecraft. I even got Lovecraft’s ghost writing work. I was a teen in the 80’s, and Stephen King was very popular at that time. My whole family was avid readers, and we often took trips to a used book store. I had seen Mr. King’s interviews and he would often mention H.P. Lovecraft. So I picked up some cheap used paperback collections. At the age of sixteen not only did I love these stories, but I found Lovecraft’s world vlew facinating. Yep H.P.L. did not sugar coat it we are a recent fragile species on a small planet in a vast unknown universe. I never found this depressing, but I see it instead as a reason to live life to its fullest. I have reread Lovecraft often, and I think the present is an excellent time to be a fan of Cosmic Horror with the number of very talented writers in this genre. I never recovered. Hooray for that! I am twelve currently…and I have to agree with that statement. As a pre-teen, I found the Fraser & Wise anthology “Great Tales of Terror and the Supernatural” in my local library, as part of a general horror/ghost story quest. I was so impressed with the two HPL tales (“Rats in the Walls” and “Dunwich Horror”) that I asked the librarian how to find more stories by this author, and she introduced me to the pre-Internet wonder of the Short Story Index. That led to hunting down the books my library owned, then learning how to do interlibrary loans. By the time I reached high school, I’d met a teacher who actually owned Arkham House books, seen the AIP movie “The Haunted Palace” (Charles Dexter Ward), and ordered the one-shot fanzine HPL from a review in “The Monster Times”. Then the Ballantine and Beagle reprints started coming out, and I hunted them all down. Employed after college by the Rutgers computer center, I was given rare access to something called the ARPANET, where a local system administrator ran a mailing list called the “SF-Lovers Digest”. I asked the members to help me find more Lovecraft/Mythos stories, promising to share the results with them, and my bibliography was born. In the late 1950s my Dad and his co-workers would bring in novels and short stories they’d found to scare each other with. Sometimes Dad would bring one home to finish it and I’d pick it up from him. I remember one book called “The Graveyard Reader” that had some real shockers. Then about 1960 he brought a book home, saying “This is the roughest one yet.” It was a paperback from Ace Books, edited by the great Donald A. Wollheim, “The Macabre Reader.” There was a story in it, “The Thing on the Doorstep,” by some man with a really strange name, H.P. Lovecraft. I’d never heard of him, nor had my Dad or any of his friends. The story stunned me, at 13 years old. I started looking for the name in the library. 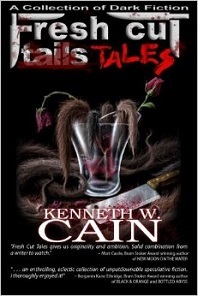 “The Rats in the Walls” was in this big, fat collection of classic tales. Finally, collections of all Lovecraft started coming out, and I bought every one I could lay my hands on. Despite many imitators and followers, there’s never been anyone else like him.